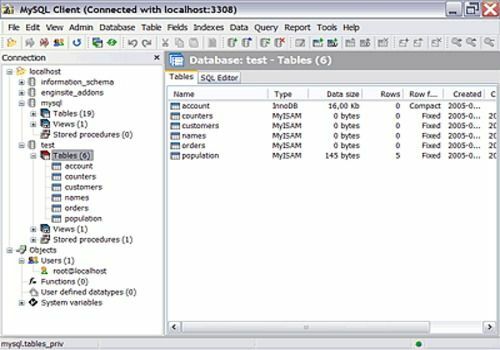 This all-in-one tool will help you create, manage and edit MySQL databases. One intuitive interface for all tasks. Supports all releases of MySQL from 4.02 to 5.03 and all of the latest MySQL features including views, triggers, stored procedures and functions as well as InnoDB foreign keys. Defining and managing the database-structure, importing data, and editing data is now as simple as can be using this program from Luckasoft.